When it comes to eating meals, packing your meal in a brown bag can have major benefits. The extra 5-10 minutes it takes to pack your meal in a brown bag could considerably help you in terms of weight loss. When it comes to eating meals, packing your meal in a brown bag can have major benefits. The extra 5-10 minutes it takes to pack your meal in a brown bag could considerably help you in terms of weight loss. 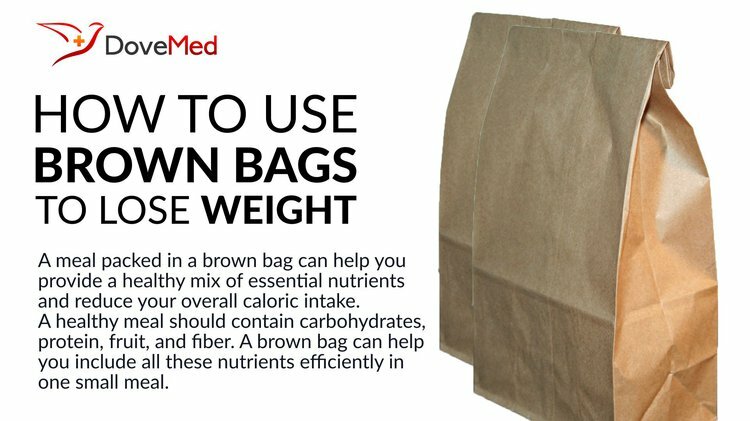 By using a brown bag, you can save not only calories, but also some amount of money. A small brown bag meal does not mean you have to endure a tasteless and monotonous meal every day. A meal packed in a brown bag can be delicious as well as healthy. According to Dr. Walter Willett of Harvard School of Public Health and Nutrition, the perfect meal size for one is not the same for everyone. But, packing your meal in a brown bag enables you to cut down on unnecessary calories and fattening substances. Even though what you eat depends on your metabolism as well as the amount of physical activity you require per day, a meal packed in a brown bag can help you provide a healthy mix of essential nutrients and reduce your overall caloric intake. You will probably find it more satisfying and filling to eat a small meal with adequate portion sizes that you have packed than going to any restaurant or fast food joint to keep you going throughout the day. The perfect healthy meal you should consume in a day should contain an appropriate amount of all important nutrients. A research study, conducted by the National Center for Chronic Disease Prevention and Health Promotion, suggested that a healthy meal should contain carbohydrates, protein, fruit, and fiber. For instance, a small loaf of brown bread or baked pasta, along with salad and fresh fruit can be simple, as well as neatly packed inside a healthy brown bag meal. A brown bag can help you include all these nutrients efficiently in one small meal. By packing on serving of each essential class of food, you reduce your calorie consumption and also have a filling meal to keep you mentally and physically active. By including plenty of dried fruits, nuts, berries and leafy greens with whole grain bread or crackers, this can help you satisfy your food cravings without gaining extra weight. By watching your portion size and including enough nutrients in your meal, you can lose weight within a time frame that you can control and maintain. There are many credible nutrition websites out there that can help you pick and pack a variety of healthy brown bag lunches. You can make brown bag your ultimate companion in becoming both fitter and leaner. DesMaisons, K. (1999). Potatoes Not Prozac: A Natural Seven-step Dietary Plan to Control Your Cravings and Lose Weight, Recognize how Foods Affect the Way You Feel, and Stabilize the Level of Sugar in Your Blood. Simon and Schuster.